We often think of Big Data as something exclusive to private companies. But one of the clearest applications is that of public bodies who want to improve the lives and services of their citizens. 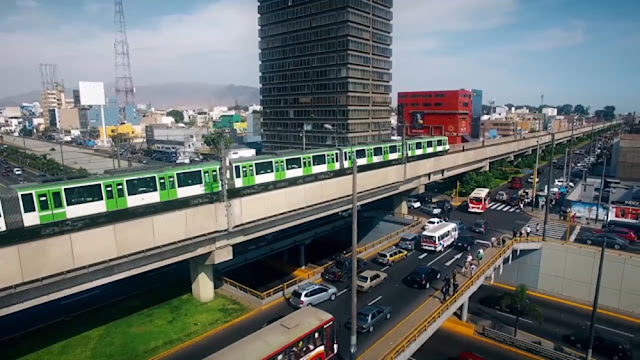 In line with this, we are working with the Ministry of Transport and Communications of Peru and AATE in the analysis of urban mobility in the city of Lima, with the objective of optimizing its metro line in Lima and Callao. The population growth of cities is ever-increasing, forming a new urban landscape in which the management of an efficient transport system has transcended the institutions to become a matter that has a direct impact on the daily lives of its´ citizens. In this sense, transport is a determining factor in the development of cities and, with the growing boom of the so-called Smart Cities, transport infrastructures must gain an increasing presence in decision-making regarding the location or type of transport to be implemented in the cities. The Autonomous Authority of the Lima Electric Train (AATE), an entity that reports to the Ministry of Transport and Communications of Peru, is in charge of planning, coordinating, supervising, controlling and executing the implementation of a massive and efficient electric transport system in the metropolitan area of Lima and Callao. According to Carlos Ugaz Montero, Executive Director of AATE, the city of Lima was one of the few cities that lacked a transportation plan, being ranked as one of the top 50 most populated cities of the United Nations. For this reason, the AATE is immersed in the planning of new metro lines, basing the planning on a Demand Study, based on surveys, but that needs to be complemented with data that reflects the behaviour and the real, and more specific, needs of the population. Based on the insights obtained from mobile data, through the LUCA Transit solution, we have analysed the journeys made by these mobile users, which once anonymized extrapolated and aggregated, allow us to estimate the number of trips throughout Lima and Callao. Thanks to the definition of user behaviour patterns, and the generation of a database and a viewer, the AATE can perform additional analysis, which have allowed us to see how the groups of inhabitants in the city of Lima move, knowing their routes and patterns of mobility along with their segmentation. All the insights obtained through the LUCA Transit solution will be very valuable as input for the new demand study. According to Carlos Ugaz, "the project carried out jointly with LUCA has offered us very valuable information that has allowed us to make better decisions, in order to implement a massive transport system in the city, to make the most efficient projects for the benefit of all citizens; reducing the risk of making bad investments. " Generation of a database that represents the real journeys made by the users. Development of a visualizer, which allows analysis according to specific needs. Technical documentation of the project, including both the methodological part and analysis of results, patterns and conclusions. Training sessions, advice and support with the aim of making the most of the points detailed above. The study allows us to see how the inhabitants of the city of Lima move, knowing their routes and also allowing us to see their different mobility patterns. In addition, the segmentation of the inhabitants helps to implement a transport system that is more integrated and responds according to the needs of the city. Thus, they will be able to optimize the construction of the metro network, strengthening communications between the points with the greatest demand and adapting the schedules. This will allow users to make fewer transfers, which will make travel more comfortable and quicker. As that the patterns of user behaviour have been generated, a database and visualizer have been generated, which allows AATE to perform additional analyses, depending on different needs. LUCA transit, allows us to analyse the trips made by the population based on real, undeclared data, allowing the client to know the real needs of the population.